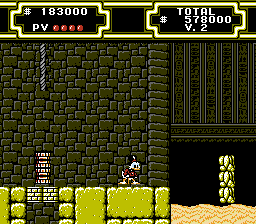 Scrooge and his nephews discover a piece of a map, it leads to the location of the McDuck fortune. 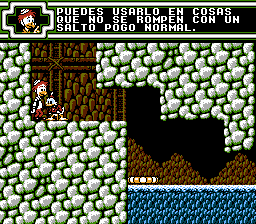 Flintheart Glomgold is also after the treasure. 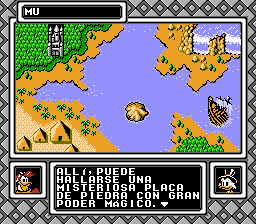 Travel the world to get all the pieces to claim the fortune. 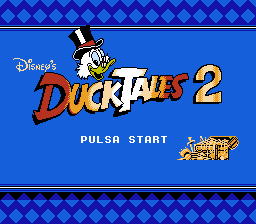 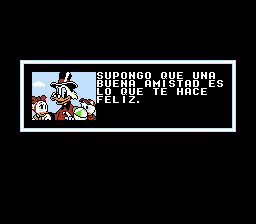 Translation to Spanish for “DuckTales 2″ for the NES.